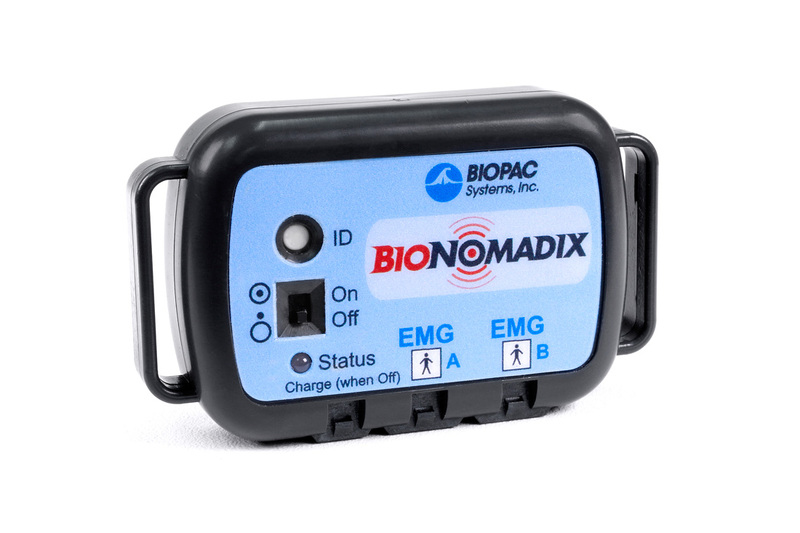 The Dual Wireless EMG BioNomadix Transmitter is specifically designed to measure one or two channels of Electromyogram (EMG) data. 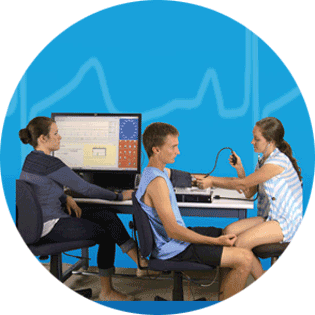 EMG data can be recorded from two independent sites. 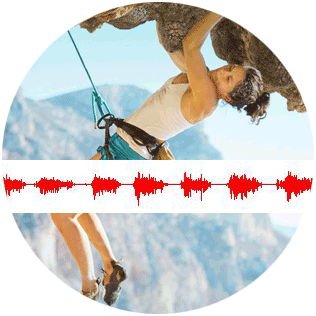 Internal highpass and lowpass filters provide for high quality amplification of the EMG waveform, which results from the electrical potentials generated by muscle cells. The high signal to noise ratio and high time-based sampling resolution permit the pair to be used for precise mean and median frequency, power spectrum or integrated analysis studies. 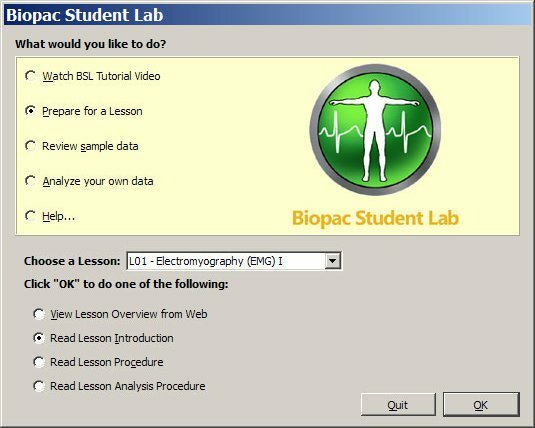 Use AcqKnowledge to evaluate activation level and muscle recruitment order. 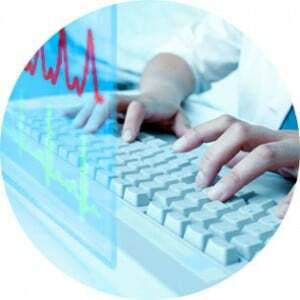 The software can automatically integrate the raw EMG signal and provide a detailed frequency analysis of the EMG data. 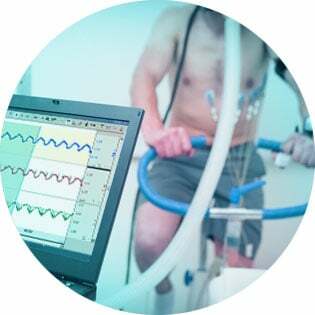 Wide bandwidth EMG data can be filtered to specific frequency ranges to accommodate high quality EMG signal identification even in the presence of extensive subject motion. 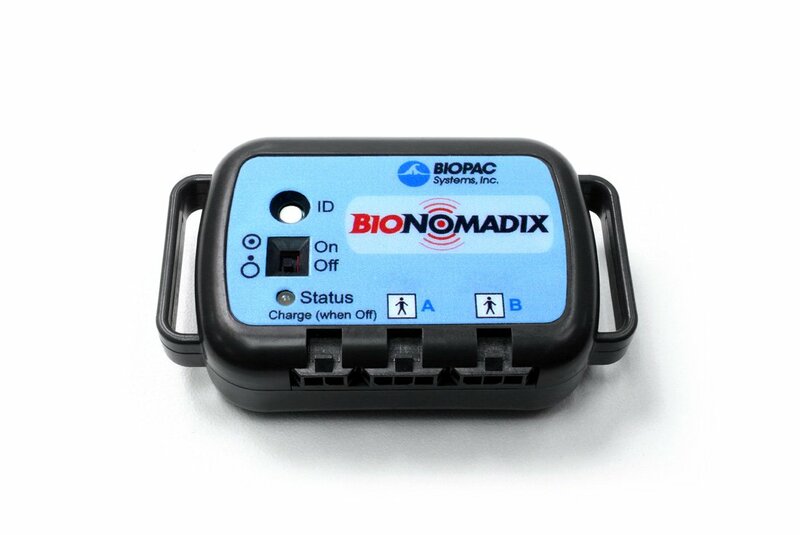 The Transmitter works with a Logger or a matched BioNomadix Receiver. 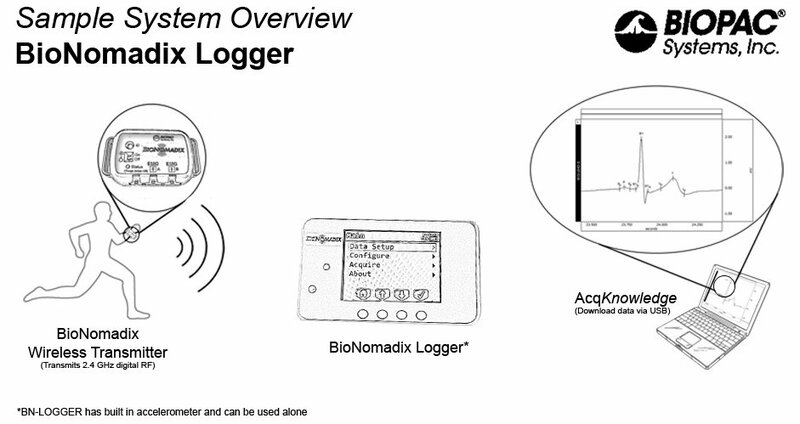 For experiments requiring data logging (up to 24 hours) outside the lab from mobile subjects, the Logger is recommended. 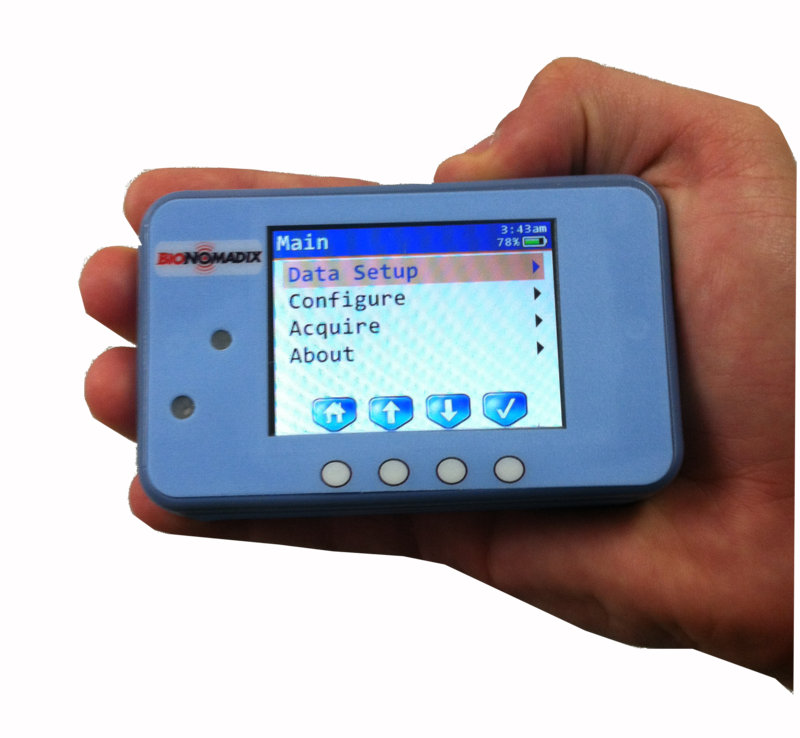 For in-lab applications requiring viewing live EMG data from untethered, mobile subjects, researchers often select a BioNomadix EMG transmitter/receiver pair configuration. BioNomadix devices are part of a complete research system. 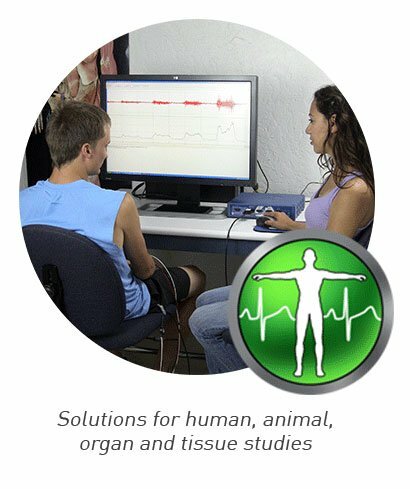 These units interface with the MP150 data acquisition and analysis platform and AcqKnowledge software, allowing advanced research for multiple applications and supporting extensive electromyography (EMG) analysis. 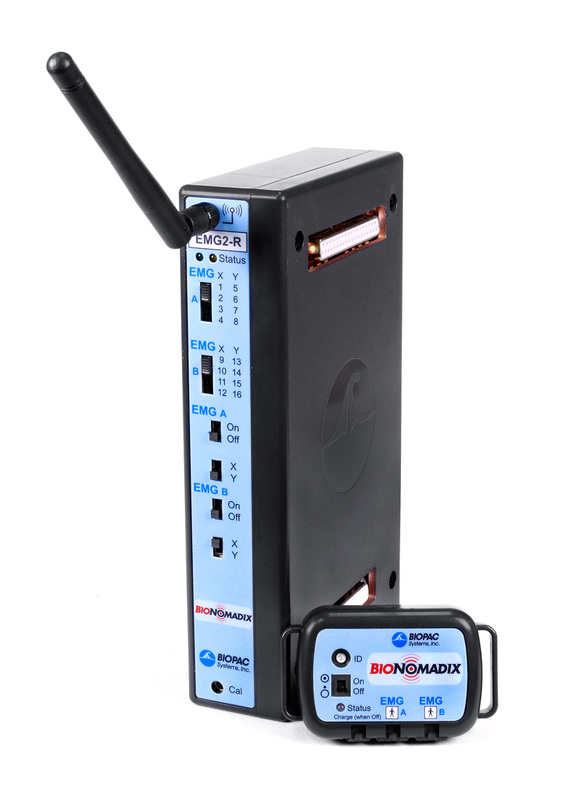 The Dual Wireless EMG BioNomadix transmitter’s EMG signal data is transmitted at a rate of 2,000 Hz, providing an extremely high resolution wireless EMG waveform at the receiver’s output. Raw data from the pair is bandlimited from 5.0 Hz to 500 Hz, to provide a very high quality recording. 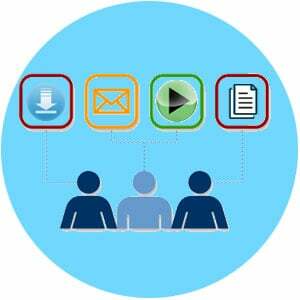 The setup emulates a “wired” connection from the computer to subject, with all the benefits of a fully-wireless recording system. The module set has a fixed gain of 2,000. 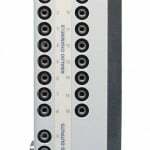 The largest EMG signal which can be measured is 10 mV pk-pk. 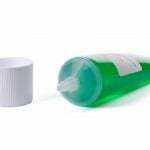 The smallest signal which can be detected is less than 1.5 µV rms. Biopotential amplifier/transmitter signal to noise ratio is very high (in excess of 65 dB), as the noise floor of the amplifier/transmission system is only 1.5 µV rms (bandwidth of 5.0 Hz to 500 Hz). The transmitter attaches to the subject’s legs, arms, head or torso via stretchy Velcro strap, a stretch-mesh BioNomadix Shirt (see accessories), or Coban™ self-adhesive wrap (WRAP1). 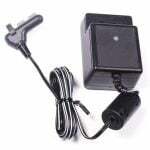 The exterior transmitter body dimensions (W x H x D) are approximately 6 cm x 4 cm x 2 cm and it weighs approximately 54 grams. 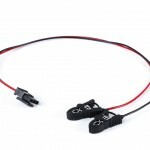 Due to battery operation of the wireless transmitter and close proximity to the subject’s body, common-mode rejection ratio is extremely high, considerably in excess of any typical wired EMG recording system. 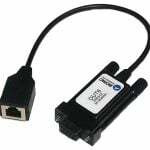 Accordingly, and also due to the pair’s low bandwidth, notch filters to remove mains interference (50 or 60 Hz) are typically not required. 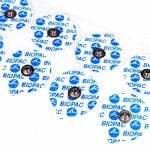 Multiple BioNomadix can be used to provide the optimum signal combination for a research study requiring biopotential or transducer signals. 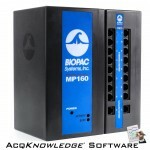 Up to 16 channels of BioNomadix data can be acquired with one MP150 Research System!